Guess what? All those cognitive measures you’re administering during ADHD assessments aren’t really necessary. At least from the perspective of accommodations request reviewers like Dr. Ben Lovett. 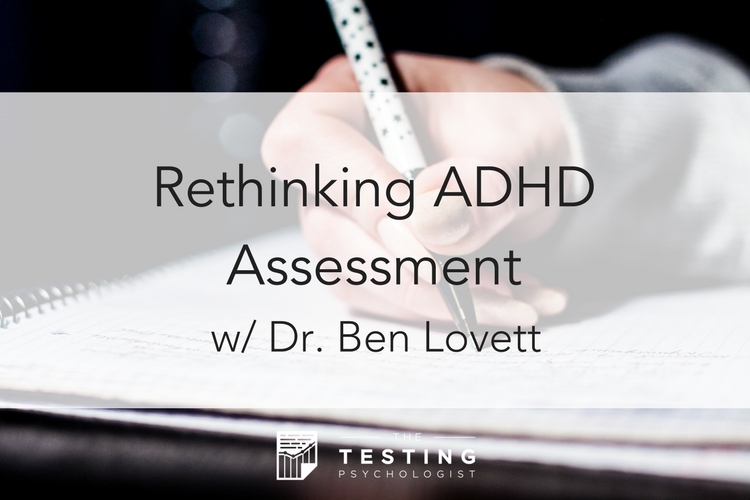 Dr. Lovett talks with us today about his role as a consultant for standardized testing companies and provides his thoughts on what actually defines ADHD from an assessment standpoint. I think you’ll find this a very interesting episode – I had tons of questions and learned a lot from our conversation! Today is also the official roll out of the Testing Psychologist Mastermind! Starting March 1, you can join a small group of assessment clinicians for laser-focused support in growing your practice. Get all the details here: The Testing Psychologist Mastermind. This podcast is powered by Q-interactive, Pearson’s iPad based system for testing, scoring and reporting. Experience unheard of efficiency and client engagement with 20 of our top tests delivered digitally. Learn more at helloq.com/home. 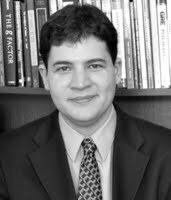 Dr. Ben Lovett is an associate professor of psychology at the State University of New York (SUNY) at Cortland, where his research focuses on the diagnosis of individuals with ADHD, learning disabilities, and related conditions, as well as the provision of testing accommodations to students with these disorders. He has published over 70 papers on these topics, as well as a full-length book, Testing Accommodations for Students with Disabilities: Research-Based Practice (APA Press). He has served as a consultant to numerous testing agencies and schools on disability and assessment issues, and he is a licensed psychologist in New York. I’m a licensed psychologist and Clinical Director at the Colorado Center for Assessment & Counseling, a private practice that I founded in 2009 and grew to include nine licensed clinicians, three clinicians in training, and a full administrative staff. I earned my undergraduate degree in Experimental Psychology from the University of South Carolina before getting my Master’s and PhD in Counseling Psychology from Colorado State University. These days, I specialize in psychological and neuropsychological evaluation with kids and adolescents. As the host of the Testing Psychologist Podcast, I provide private practice consulting for psychologists and other mental health professionals who want to start or grow psychological testing services in their practices. I live in Fort Collins, Colorado with my wife (also a therapist) and two young kids.